Here’s some long awaited Blu-ray news. The Alien Anthology — for the first time — will release on high-def Blu-ray Disc October 26 and is now available for pre-order. The six-disc set will contain never-before-seen bonus material, deleted and extended scenes from all four films, and the debut of MU-TH-UR Mode, making this one of the most anticipated high-def releases of the year. MU-TH-UR Mode is a new interactive mode that provides special features and an index of content on all six discs, which in this case includes over 60 hours of special features and over 12,000 images. Amazon is currently offering the Alien Anthology for $42 off the MSRP of $139.99. Customers who pre-order also get $4 credit towards other purchases. Amazon also guarantees you will receive the lowest price listed before it ships. 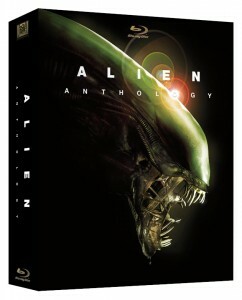 Click here for full disc specs and features available in the Alien Anthology.